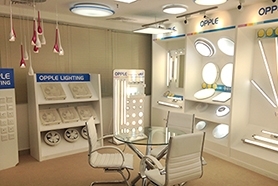 Based in Shanghai, China, Opple Lighting is one of the most renowned LED light bulb manufacturers. Established in Dubai, United Arab Emirates in 2004, we initiated our operations as a CFL manufacturer. With the passage of time, we worked hard and expanded our LED bulb manufacturing operations to include a wider array of top quality products. This was done as a means of catering to the varied needs of our clients and customers – to us, customer satisfaction is of utmost priority. The one thing that we are proud of at Opple is that our growth is not restricted to achievements on a domestic level. Instead, we have experienced exponential growth in the international market. Over time, we have managed to offer our products and services in more than 50 countries around the world. This includes sales and services in countries like Thailand, India, Indonesia, Europe and Australia. These achievements have only been possible due to our strong commitment to research and development and the ever-growing demand for top quality, energy saving and environmentally friendly LED lighting products. 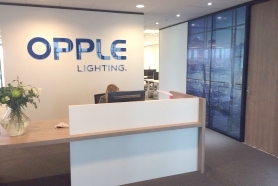 With over 6,000 people employed worldwide, Opple has long delivered solution based lighting solutions catered to fulfill the needs of customers serving various industries as well as home based clients. As thorough professionals dedicated to the betterment of our customers, Opple has long emphasized on innovation. It is due to this emphasis on creativity and innovation that we have managed to remain at the forefront as the world continues to make the move towards affordable and energy efficient LED technology. LED light bulbs use only 2-17 watts of electricity (1/3rd to 1/30th of Incandescent or CFL). LED bulbs used in fixtures inside the home save electricity, remain cool. LEDs are initially expensive, the cost is recouped over time and in battery savings. Cost of new LED bulbs has gone down considerably in the last few years.